Greece is the country with the highest sun exposure between European countries. Given the boom in solar installations and renewable importance, Thessaloniki authorities have decided to reduce energy costs in schools in the city will be a priority in 2013. 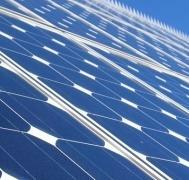 Authorities have approved in the Municipal Council of Thessaloniki in December 2012 an investment of approximately EUR 1.65 million to equip 50 buildings with solar panels. Most buildings are state schools. The investment will be made entirely by Thessaloniki City Council and will take place an auction to determine the company which will take care of the constructions. Facilities to be installed will have an aggregate capacity of 500 kW, each building with an installed power of 10 kW. This project aims to reduce costs with 150,000 eur annualy.